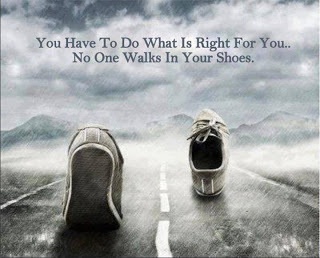 Sometimes you have to do what is right for others too and may not be right for you. In this case, you might end up being unhappy. Words to live by. Even if I feel I have to do things that are right for others, in the end it is still my choice. But sometimes if I DON’T do something that’s right for someone else, I’ll be unhappy! It’s complicated! !